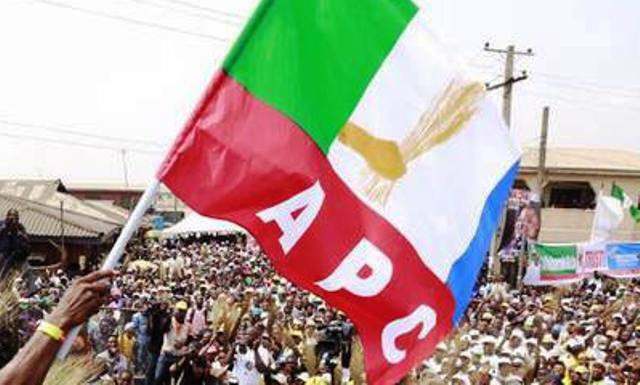 THE All Progressives Congress (APC) Zonal and State Youth Leaders Forum, on Tuesday demanded immediate zoning of all the leadership positions for the ninth National Assembly. While calling for the convening of the National Executive Committee (NEC) meeting of the party, the youth said the decision to select Ahmed Lawan and Femi Gbajabiamila as next Senate President and House Speaker, respectively, would lead to chaos. The zonal youth leaders who are also members of NEC, expressed concern over the fate of APC after the tenure of President Muhammadu Buhari, especially in the light of the highhandedness and perception of lack of internal democracy in the party. The communiqué which was signed by the six APC zonal youth leaders and read by the North Central zonal youth leader, Comrade Terver Aginde, on behalf of the Forum, equally called for the immediate rescission of the suspension of some party members by the NWC. “We observed with great concern the recent suspension of some major stakeholders of the party including two outgoing governors who are also Senators-elect and a retinue of court cases with significant judgements against the party i.e Rivers and Zamfara. “The mishandling of these issues by the National Working Committee and other crises led to our electoral loss in the affected states, particularly in Imo, Bauchi, Adamawa and Oyo,” it further added. “Whilst we agree with the initiative to determine National Assembly leadership within the parameters of zoning and ranking to ensure stability and discipline within the ranks of the party, we must do so without undermining the independence of the legislature. We consider the micro-zoning as a recipe for chaos mindful of the experience of 2015. “It is anomalous to have made a pronouncement on the position of the Senate Presidency and Speakership of the House of Representatives to the exclusion of other positions and other zones. The Forum further took a swipe at the decision of the Adams Oshiomhole led exco to adopt Senate Leader, Senator Ahmad Lawan as the party’s choice candidate for the Senate President. “We are curious to ask for instance how the decision was arrived at, who moved the motion for micro-zoning, who seconded the motion, who voted for micro-zoning and who was against micro-zoning. We dare ask, who is benefiting from this arrangement, an INDIVIDUAL or the PARTY? Party members will be glad to see the minutes of the meeting where such decision was taken,” it said.